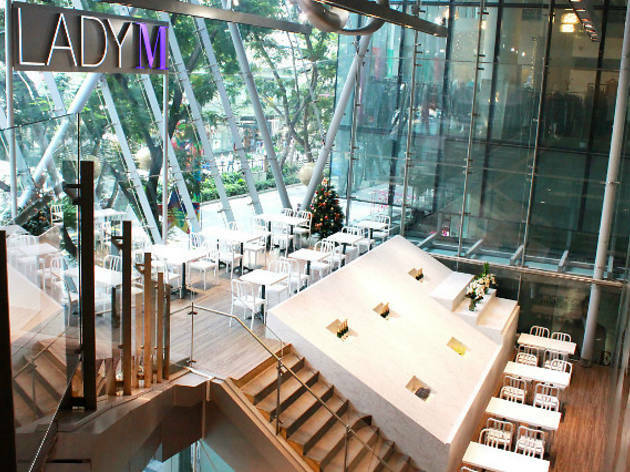 At Lady M's Orchard Central branch, the cafe also puts on an all-day breakfast menu. 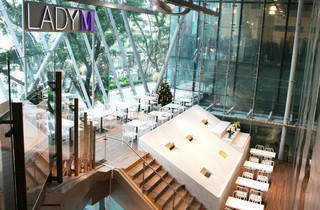 Highlights include Sicilian red beef and mushroom pot pie ($18) and smoked salmon and avocado panini ($14). For those with a brave stomach, try the M's Big Break ($2), which is a hearty plate of toasted muffins, soft poached eggs, turkey bacon and chicken and cheese chipolata sausages.